Even though most major publishing houses tend to shy away from publishing collections of poems (except for those written by famous authors), Writer’s Relief knows a way that poets can get their collections published: Enter a chapbook contest. What Exactly Are Poetry Chapbook Contests? A “chapbook” is, essentially, a small book. Independent presses often host contests to find great “small books” of poems. Winners of chapbook contests sometimes are awarded cash prizes ranging from a few hundred dollars to a few thousand, as well as complimentary copies of the poetry collection. The contest winners may even be invited to attend public readings and book launches. Some poetry chapbook contests are organized around certain themes and subject matter, but others welcome collections of unrelated poems. Poets who want to create a submission for a chapbook competition will want to prepare between twenty-four and a hundred pages of poems. What Strategies Will Increase My Odds Of Winning A Contest To Publish A Book Of Poems? Write well. It goes without saying that your odds of winning a poetry chapbook contest are better if you’re writing good poetry. Learn more about how to become a better poet. Follow submission guidelines. Persnickety editors will reject a submission outright, or at least think less of it, if a manuscript fails to follow the rules laid out by the publisher. Learn more about how to interpret submission guidelines. When in doubt, stick to industry standard format. Simple layout, with standard margins and standard fonts, tends to win over editors better than fancy design tricks. Editors want a poem to speak for itself—without resorting to distracting formatting. Hire a professional proofreader prior to submission. Veteran writers know that it’s almost impossible for a writer to self-proofread a single poem, let alone a whole book of poetry. Here’s where you can find a skilled proofreader for your poems. Be aware of editorial turnoffs. Some poetry techniques just aren’t winning editors’ hearts these days. Double spacing, centering, and even rhyme have fallen out of favor. Unless the contest’s guidelines specifically call for one of these styles, here are more poetry elements that editors eschew. Be aware of hot poetry trends. While some poetry trends have fallen out of favor, others have soared to popularity. Certain poetic forms (like free verse) and topics (such as multicultural explorations) are in vogue. That said, writing to the market is a dangerous undertaking and prone to backfire. Authentic poetry tends to succeed over poems that feel inauthentic or contrived. Enter the right poetry book contests. Choosing which contest to enter is a big decision. You need to assess your odds of winning. 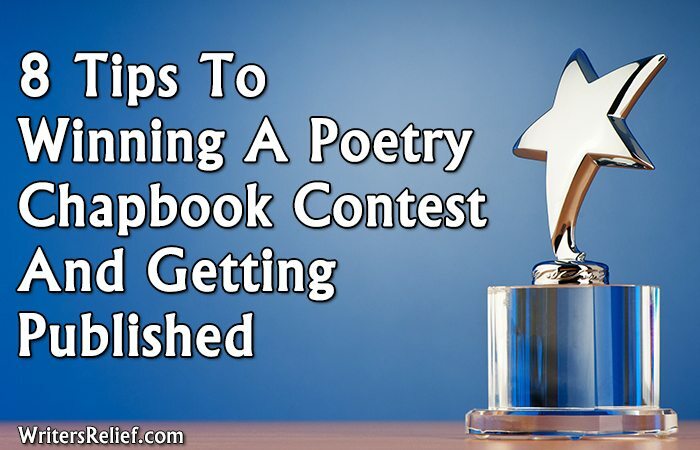 Here are some things you can do to find a chapbook poetry contest you might actually win. Don’t give up. To win a poetry chapbook contest, you may need to enter many contests. Rejection isn’t personal. Don’t let it slow you down! And Where Can I Find Contests For Poetry Books Online? The staff at Writer’s Relief maintains an extensive online database of poetry chapbook contests. 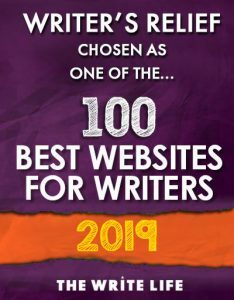 Our classifieds are unlike any other writers’ market listings on the Web: They were designed to make it as easy and quick as possible for writers to find what they are looking for. Our poetry contest listings are easy to skim, offer only up-to-date and accurate listings (with no outdated listings hanging around), and don’t require lots of page-hopping. Good luck! Question: Have you ever entered your collection of poems in a poetry chapbook contest? How did it go?